Shorthorn cattle originated in Britain at the beginning of the 19th Century. For nearly one hundred years shorthorns were prized for both beef and milk qualities. 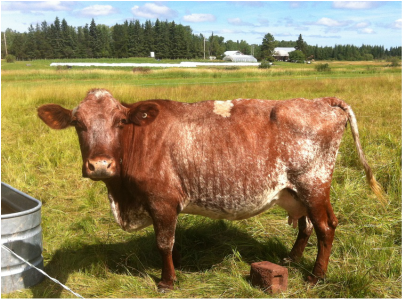 Up until the 1950s, shorthorn cattle were found on many Canadian farms. However, single-trait breeds such as the Holstein dairy cow, or the Angus and Hereford beef breeds eventually replaced them as farms began to specialize in either beef or milk production. 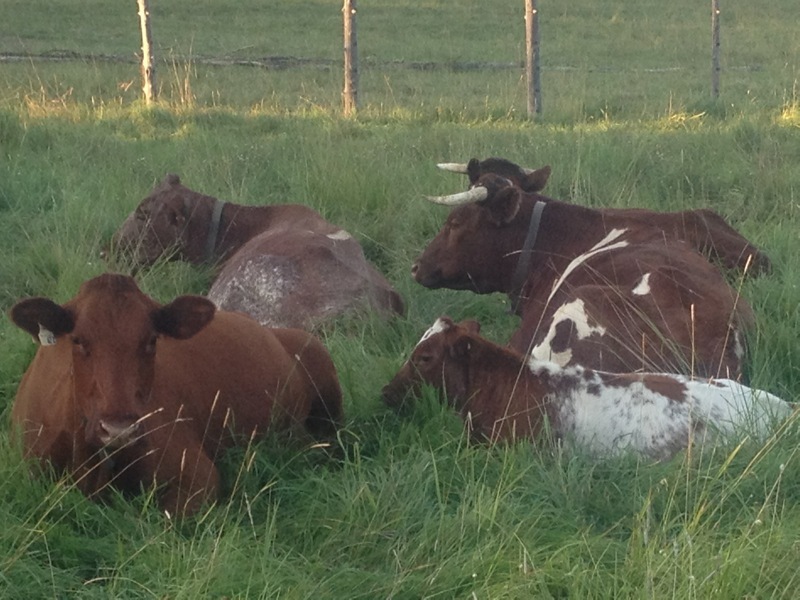 At Sleepy G Farm we have a small herd of traditional, dual purpose (meat & dairy) type Shorthorn cattle. We use Artificial Insemination to breed our cows with traditional style Shorthorn bulls. 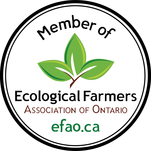 Our aim is to produce high quality beef from a pasture-based system using brood cows that can be easily handled and milked by hand. Additionally, we have a team of Shorthorn oxen that we use on the farm. The colour of Shorthorn cattle include any combination of red, white, and roan. We believe that Shorthorn cattle are the most beautiful of the British breeds. Our Janice is the oldest cow in our herd. She , along with two of our other cows were purchased from Diane and Ivan Naylor at Lady Grove Milking Shorthorns in Kleefeld Manitoba. Maple Inn Janice 4th was classified as "Excellent " twice during her commercial milking career. She retired to Sleepy G in 2010 as has given us 4 calves to date! Recently we bought a highland cow and her calf. They are so cute. How could we not bring them home? Welcome Pet and Patty!